The flatwater off of North Creek, Grand Turk. At this time paddle boarding is mainly limited to the Cockburn Town Beach area due to the location of the water sports businesses. This activity is fun and a great workoout, but there is little in the way of organized tours. Paddle boarding offers excellent view of the reef and sea life below. Stand up paddle boarding is an easy to pick up activity that's suitable for almost everyone. This sport utilises what is basically an oversized surf board and a single long-handled paddle. 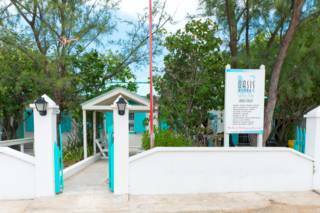 Quite a few accommodations offer complimentary paddle-board use to guests, and several local Grand Turk businesses offer rentals. If you look, it’s often possible to see coral and marine animals in the water below, including southern brown stingrays, fish and turtles. Due to their ability to cut through water surface reflections, polarized sunglasses make it much easier to spot creatures. Perfect water for paddling at Governor's Beach. 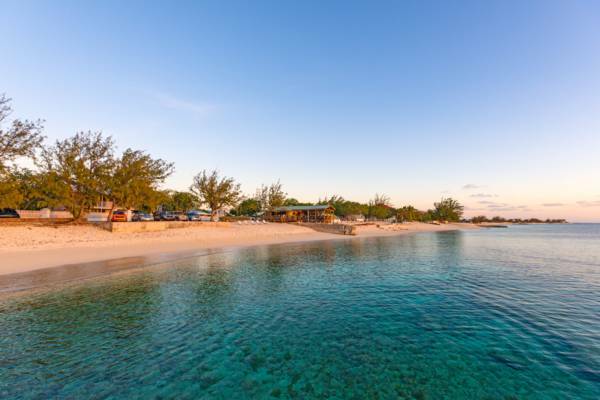 Grand Turk unfortunately doesn't have the extensive wetlands that the Caicos Islands have, so paddling spots are more or less limited to either North Creek or off the west coast beaches. North Creek offers limited mangrove wetlands and shallows, but the surrounding buildings and occasional piece of junk machinery detracts a bit from the experience. This inland marine sound is typically quite calm, which is great for stand up paddle boarding. There’s no guarantee of sightings, however reddish egrets, cattle egrets, tri-coloured herons, brown pelicans and ospreys are often seen. Tours conclude near the mouth of the creek, below the Grand Turk Lighthouse. St. Mary's Church on Cockburn Town Beach. Contrary to the wetland settings we generally suggest for stand up paddling on the other inhabited islands in the Turks and Caicos, our opinion is that visitors will most enjoy exploring the coast close off of Cockburn Town. Here, the backdrop is old British-Bermudian Colonial architecture, crystal clear ocean water, and beautiful beach. There can be an ocean swell here, but usually little chop due to being sheltered by the island from the typical east southeast winds. Convenient hourly rentals can be arranged at onsite dive shops. Several accommodations on this coast also include complimentary paddle board usage for guests. See our overview article on stand up paddling in the Turks and Caicos. As with water sport, be aware of wind and currents. Consider beginning your journey upwind so as to avoid an exhausting return trip. 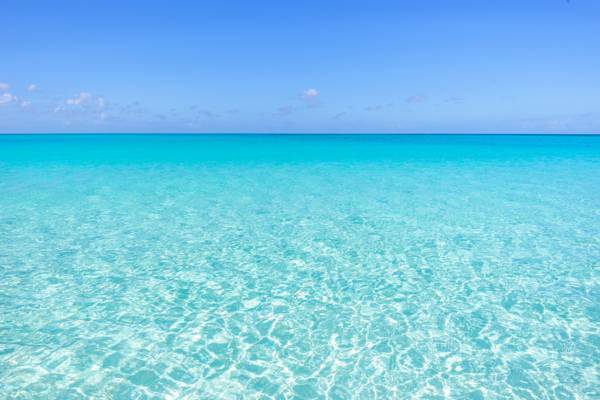 Due to the northeast equatorial Atlantic trade winds, the breeze typically blows from east to west in the Turks and Caicos. 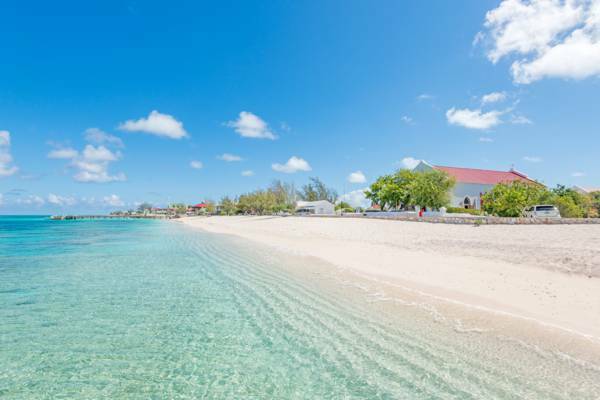 Because all of Grand Turk’s popular beaches are found on the west coast, the land shelters the ocean a bit from the wind, which results in smother surface conditions. Be aware that this sheltered effect fades the further you are from shore. When paddling off of any of the west coast beaches, which includes the Cruise Center Beach (SunRay Beach), Governor's Beach, Cockburn Town Beach and Pillory Beach, don’t stray far from the coast. Wear a proper safety flotation vest. There can be a significant swell and waves at times. Don’t attempt to paddle or surf in such conditions unless you’re with a qualified guide. Cockburn Town from the water. Oasis Divers is the only provider for Stand-up Paddle Boarding on Grand Turk. Has half and full day rentals for self tours.